"I read the Firstpost report on how the banks have fudged data on the loan waiver scheme. If the banks are guilty of committing fraud, then why is Chief Minister Devendra Fadnavis silent? The government must file criminal case against the banks or chief minister reveal the truth about the mess," said former Maharashtra chief minister Prithviraj Chavan as he lashed out at the BJP government for the delay in the disbursal of the Rs 34,022 crore loan waiver. 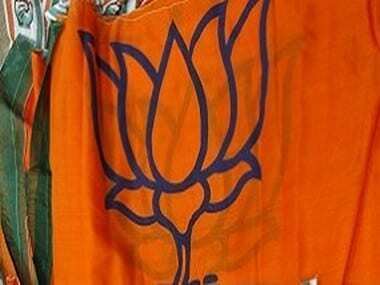 Speaking exclusively to Firstpost over the telphone from Karad in western Maharashtra, Chavan on Saturday said: "The first phase of the loan waiver scheme was released on 18 October. The second list was announced on Friday night without any details of bank names, disbursement amount and district-wise farmers' names. The government, especially Fadnavis, is just using the loan waiver as a publicity tool. 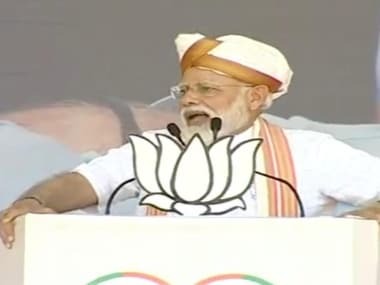 He should disclose the details of the nationalised and District Cooperative Central (DCC) banks which have given ghost account numbers, fake farmers' names, and wrong Aadhaar details." After Firstpost broke the story on the irregularities by banks on Friday, Fadnavis has been facing intense heat from the Opposition. "I demand a judicial probe into the large number of bogus names which have allegedly crept in the list of beneficiaries. I suspect that most of the corrupt activities have taken place because of the online system. "Who are the officials—private and government—involved in pocketing money from the IT contract (for setting up the online system) worth crores? Why is the chief minister shielding them? Why is IT principal secretary VK Gautam being sent on 15 days leave when the online process incomplete? It's all suspicious," Chavan told Firstpost. Interestingly, the state IT portfolio is with the chief minister. "Ten days ago, I wrote to the Union Bank of India to enquire how the number of farmers applying for beneficiary loan waiver dropped from 6.48 lakh to 1.34 lakh. Did they take action against the officer who is responsible for the drop in numbers?" asked Chavan. He added that he is yet to receive a reply to his letter. "The farm loan waiver was not mentioned in the original contract for the firm which was awarded the DBT scheme. Which close aides of the chief minister are responsible for this mess? Why does the gang of educated people always back the chief minister for digital Maharashtra?" Chavan wondered. The senior Congress leader alleged that multiple conditions for the loan waiver scheme had affected the number of beneficiaries. "They announced that loans of 89 lakh farmers would be waived off, but now the figure is around 67 lakh. They have put so many conditions that many farmers are being left out," Chavan claimed. Chavan alleged that the Maharashtra government was humiliating the farmers by deleting genuine names and adding fake beneficiaries. 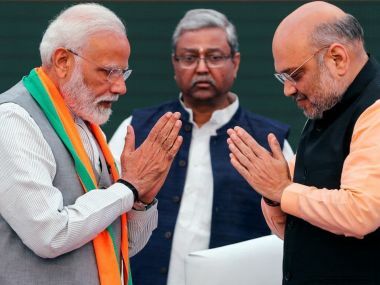 "The government had said that the Aadhaar-based linking will help avoid any duplication as well as fake accounts getting the benefit of the loan waiver. But in reality, the Aadhaar compulsion and too much complexity with 66 fields to be filled in the form has affected roll out," he said. On 24 June, Fadnavis announced on Twitter that 89 lakh farmers would be eligible for loan waiver and that the Maharashtra government would waive off the outstanding loan amount worth Rs 34,022 crore. Chavan sought to know how the scheme failed to reach farmers. He said: "There should be a judicial inquiry. After SLBC (State level bankers' committee) meeting, the numbers came down from 89 lakh to 77 lakh. Who deleted 12 lakh names?" The former chief minister made it clear that the onus lies with his successor for the goof-up since it was Fadnavis who announced that online submission and Aadhaar number were mandatory to avail benefits under the loan waiver scheme. "Aadhaar is made compulsory by the government, and not by banks. The government is not able to get its information technology act together. The chief minister's mindset is that loan waivers only help banks and most cooperative banks are controlled by the NCP and the Congress. 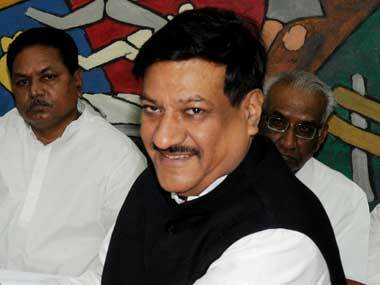 It's a totally baseless allegation," Chavan said. Though it is the primary responsibility of the banks to ensure that the accounts are adjusted against correct Aadhaar numbers, multiple names have appeared against same Aadhaar numbers. This raised eyebrows as many suspect it to be an attempt to divert money. "The implementation of the loan waiver scheme is being completely mishandled. It's not a mistake. The mess has been deliberately made. It is a well-planned exercise to reduce the number of farmers. This would automatically reduce the loan waiver amount," said Chavan. 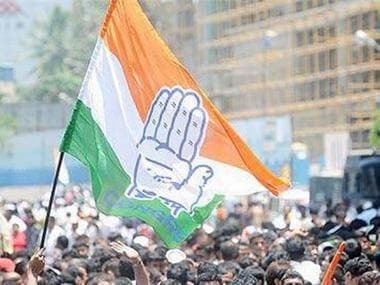 Chavan said that the Congress was demanding a judicial probe because of the belief that bogus names of farmers have been included in the list of beneficiaries. "There should be a transparent probe. The name of those responsible for the mess should be revealed by Fadnavis as early as possible," Chavan said.